I took this photo today. I'm unhappy it probably isn't going to run in color. And the front of the B section has a more newsworthy, but boring photo of a vehicle rollover. 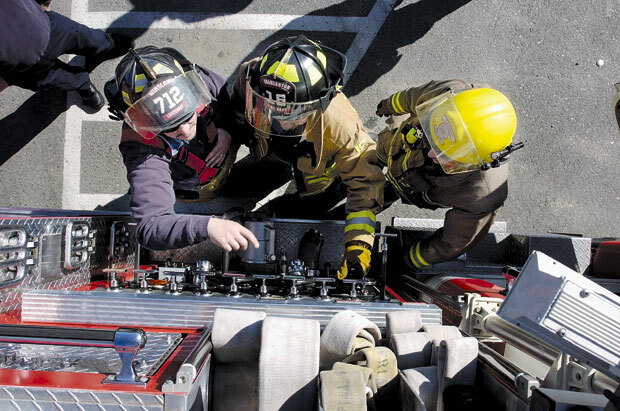 Lieutenant Scott Higgins instructs fire fighters in during a pump truck class at the Central Maine Fire Attack School held at Winslow High School this weekend. Approximately 200 fire fighters from around Maine attended the course that is held twice a year in Winslow.